Internet of Things (IoT) is revolutionizing the tech industry, offering it unprecedented opportunities to improve efficiencies and customer service with the help of connected sensors and smart devices. IoT is on the verge of becoming an inherent part of every industry, becoming interwoven in every aspect of our lives. 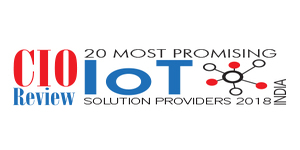 However, this added utility comes with its own set of challenges with the security of mission-critical data and connectivity/ compatibility of various protocols due to non availability of IoT standards ranking as two of the topmost challenges reported. Coming to the fore, is Bangalore based Smartrin, the perfect platform with a complete process in place, creating a niche for themselves in the IoT domain with their customer friendly framework. The company’s major differentiation lies in its ‘Value driven connectivity’,” proudly affirms Ravi Tirumalaraju, Co-founder & Director, Smartrin. Primarily focusing on the connected domain and digital transformation, the engagement begins with a team of professionals understanding the pain points, post which the team recommends the suitable course based on the requirement/problem statement. Once the customers sanction their approval, the team begins with a quick Proof of Concept (PoC) to showcase the possibility before committing to the actual product development. Spreading a more extensive connectivity around the world, this novel approach ensures better clarity on the ROI in terms of productivity, profitability, performance, putting the customer at ease and enabling the organization to direct the saved resources elsewhere. “Though we are a year old company, we did a lot of PoCs across a broad range of verticals and now most of those PoCs are turning into real implementations,” reveals Ravi. He further adds how the company will play a key role and will largely contribute in ‘Connected India’ with devices and people connected ubiquitously. Perfectly understanding the apprehensions businesses and consumers have towards the susceptibility of having their data breached, the company has put in place a rigorous security testing framework to ensure data privacy and security from the end node to cloud component. Smartrin firmly believes that IoT developers essentially need to focus on not just their own component but the entire system as a whole in order to avoid any last minute security challenges. Additionally, to completely eliminate any vulnerability one may have, the company conducts security risk assessments before developing any IoT solution which is adhered to as a general practice. “Smartrin focuses on ‘creating the right security culture’ while implementing solutions right from day one. 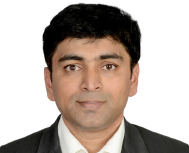 We need to secure the device and network level as well for the safe operation of end-to-end IoT systems,” adds Ravi. With offices based in Hyderabad, Bangalore and USA as well, Smartrin engineers products and proffers consulting for the connected world; mainly in Connected Agriculture, Smart Cities and Industrial Automation. Being the conduit between people and things, the company is currently working on one of the implementations to monitor the fleet of a construction company while simultaneously providing a real-time dashboard clubbed with analytics, geofence alerts and predictive alerts designed on AI-based data processing. Continually striving to stay abreast trending technologies, Smartrin aims to roll-out their generic solution framework for most of the verticals soon. In tandem with the company’s tagline “Ensures EveryThing Connected”, Smartrin is focusing on connecting more and more data points to provide meaningful insights.